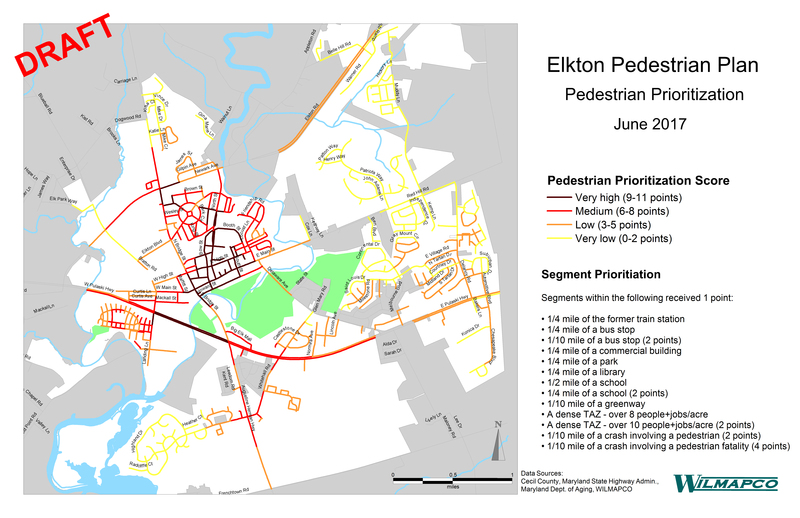 The Elkton Pedestrian Plan has been endorsed by the WILMAPCO Council and the Town of Elkton in July 2018. 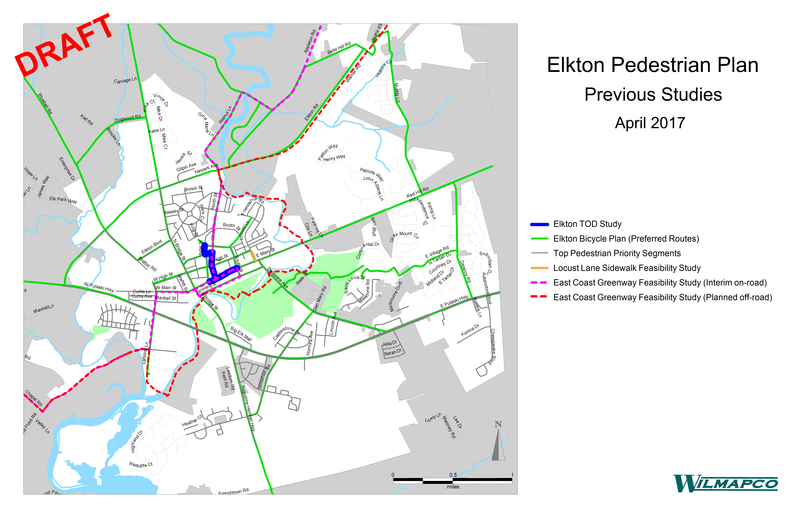 Click the cover image below to view the final report. 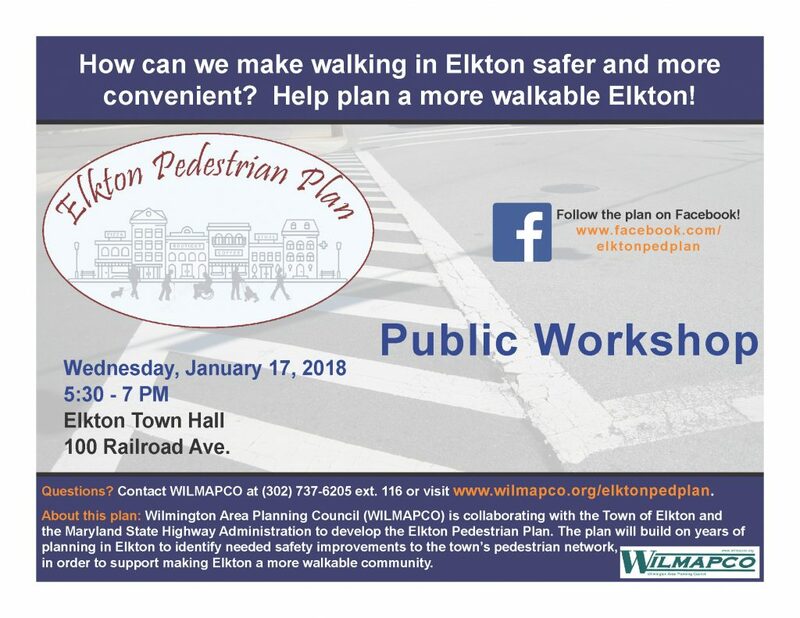 Thank you to everyone who attended the Elkton Pedestrian Plan Public Workshop on Wednesday, January 17, 2018 in Elkton’s Town Hall. 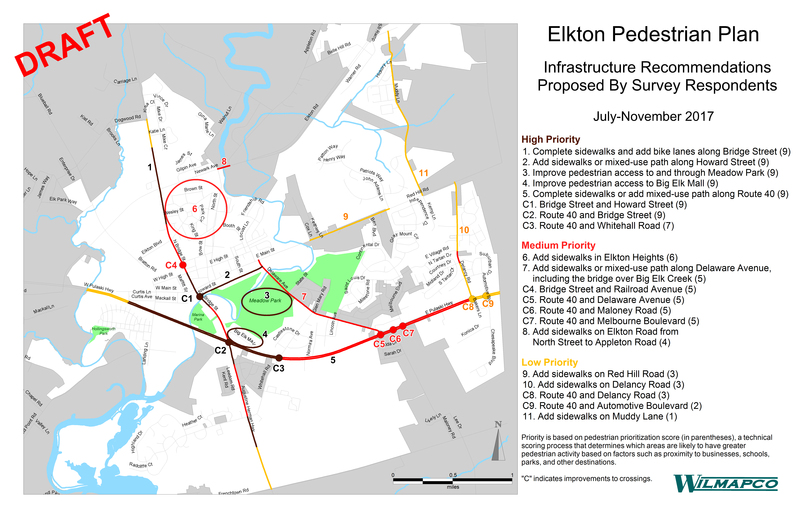 Workshop display boards and draft recommendations for new sidewalks and road crossings are available in the links below. 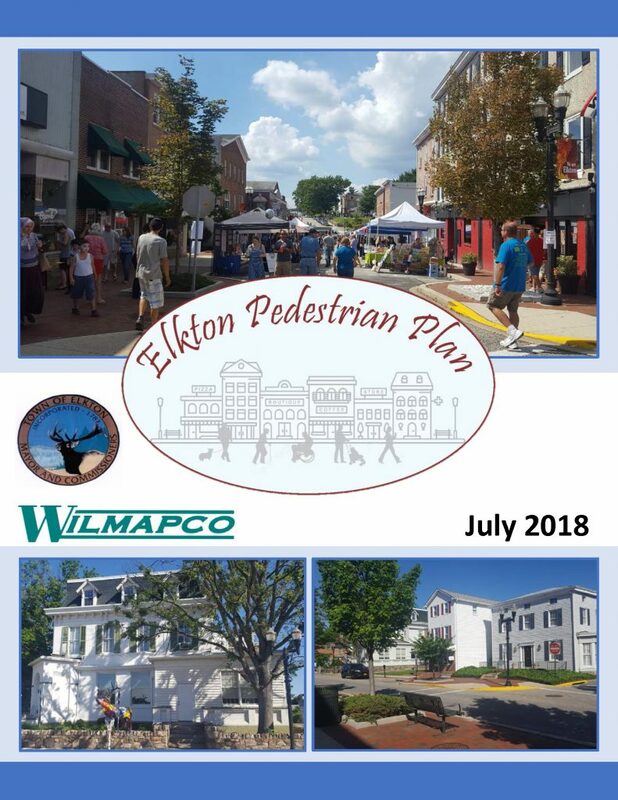 WILMAPCO collaborated with the Town of Elkton and the Maryland State Highway Administration to develop the Elkton Pedestrian Plan. 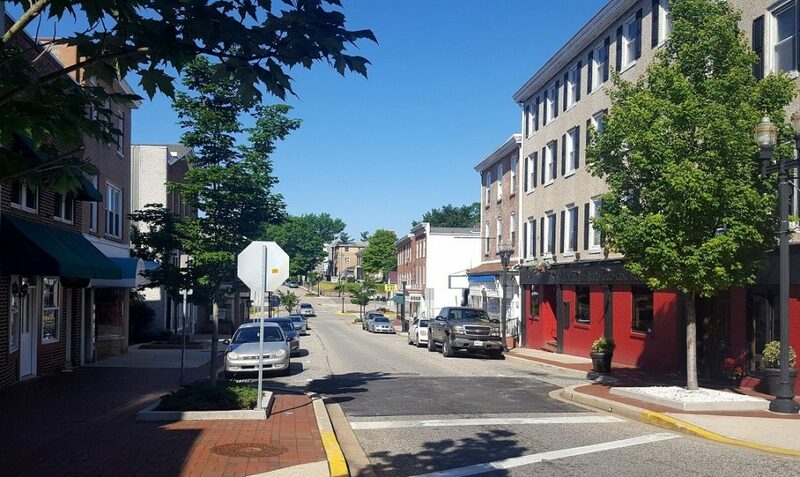 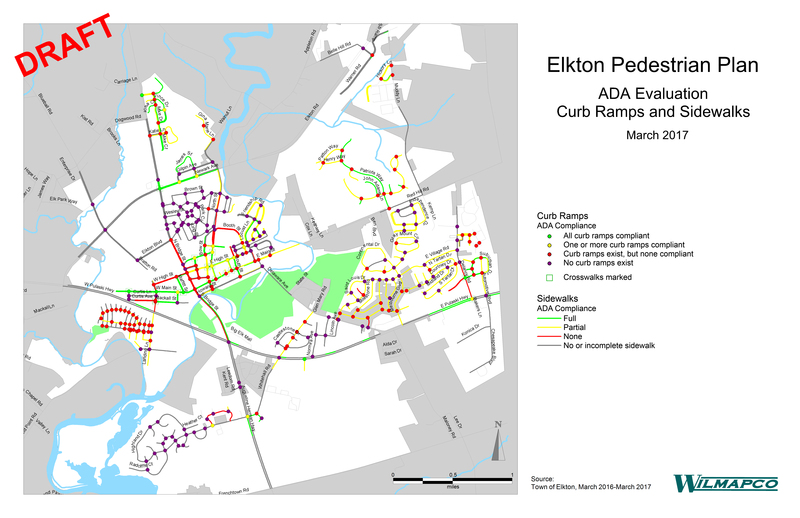 The Plan builds on years of planning work in Elkton, Maryland to identify necessary improvements to the town’s pedestrian network, ensure compliance with the Americans with Disabilities Act, and support making Elkton a more walkable community.